A lifetime of working with youth, both on and off the athletic fields, has culminated in induction into the Wayne County Sports Hall of Fame for Roman Majerczak. Before he began his 35-year teaching and coaching career at Wooster, Majerczak, born in Cleveland in 1926, served with the Marines during both World War II and Korea. He was wounded at Iwo Jima and received the Purple Heart and Silver Star. After playing football at Ohio Wesleyan, Majerczak started in education at Newark, then came to Wooster in 1955. He was elevated from assistant to head football coach in 1958 and led the Generals from 1958-65, with his 1960 team the first and last at WHS to go through a 10-game season undefeated and untied. 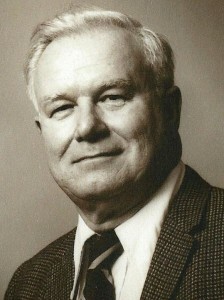 Upon stepping down as head coach in 1965, Majerczak became an assistant coach again, and remained on the gridiron at Wooster until 1989. When he moved to West Virginia after retiring, he continued to help coach football at two high schools until 2006, giving him a total of 54 seasons on the sidelines. Majerczak was also a pioneer at Wooster High, as he started both the wrestling and tennis programs there. He was also instrumental in developing the girls athletic programs at WHS, as well as in the formation of the Cardinal Conference, Wooster’s league affiliation for 27 years. During his years at Wooster, Majerczak was also the school’s athletic director for 21 years, as well as the wrestling and track coach at different times. He is also a past president of the Wayne County Sports Hall of Fame. With his induction, Majerczak is now a member of three Halls of Fame, having been previously inducted into the Wooster High All-Sports Hall of Fame and the Ohio High School Football Coaches Association Hall of Fame. When he passed away in 2009, Majerczak and his late wife, Rosella, had been married for 55 years. He is survived by a daughter, Doris, and son, Bill, who played football for his dad at Wooster High.